When the cartilage separating the nasal passageways becomes misaligned, it is said to have deviated. A deviated septum may be inherited or may result from an injury such as a broken nose. When the cartilage is out of alignment, there is a greater propensity for restricted airways resulting in congestion. The turbinate is a narrow bone shelf that protrudes into the breathing passage. Also known as a nasal concha, there are three of these bone shelves in three areas of the nose, dividing your nasal passage into four sections. The primary purpose of the turbinates is to clean the air that enters into your nose. When functioning properly, the turbinates will filter dirt, pollen, allergens, and other airborne irritants before they reach your lungs. However, for Los Angeles patients who have enlarged (hypertrophic) turbinates, the filtering of the air is compromised, and the result can be nasal congestion, recurring sinus infections and accompanying pain and discomfort. As one of the nation’s leading experts on sinusitis, Dr. Cohen’s Southern California Sinus Institute is highly regarded for our effective and noninvasive treatments of chronic sinusitis. Chronic sinusitis is an ongoing sinus infection, persisting for more than 12 weeks, which often causes nasal congestion. Nasal or sinus polyps are growths that appear within the nose typically near the area where the sinuses are opened into the nasal cavity. 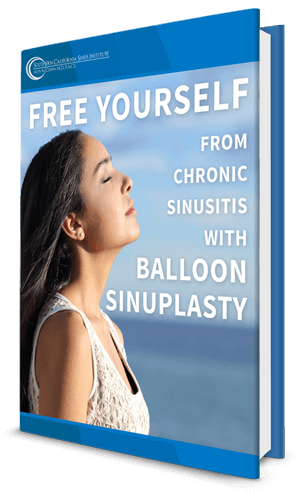 For many patients seen as the Southern California Sinus Institute, nasal polyps cause no problems. However, larger polyps can cause obstruction, leading to frequent congestion. Dr. Cohen will be happy to meet with you at the Southern California Sinus Institute to discuss and diagnose the cause of your nasal obstruction and congestion. Treatments for ongoing congestion may involve nasal sprays, medications, or nonsurgical treatments. When surgery is indicated in order to treat your nasal obstruction, Dr. Cohen will discuss all options to ensure the least invasive course of treatment is provided. Contact our award-winning team of ENT experts today for a consultation.